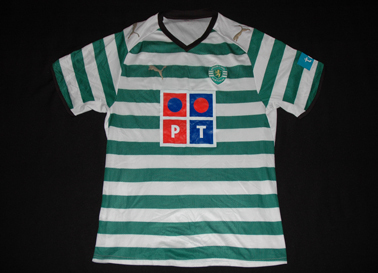 The Sporting Lisbon shirts of this season were simple and lovely, besides the green hole in the back. 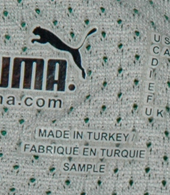 The quality was also good, these are dual layer shirts. 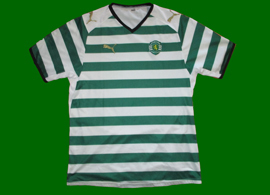 The Stromp shirt did not scandalize either, the only extra decorative element was some golden stripes along the right shoulder. 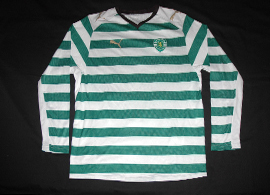 In these shirts the Club crest was much larger than in the home shirts. 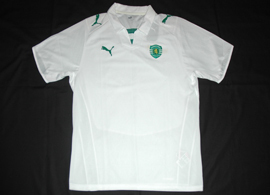 The away shirts returned to the classic all white. 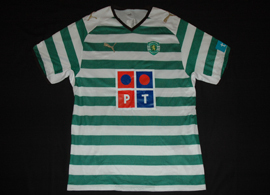 In the away shirts with sponsor, this was the green frog of the adsl provider Sapo. 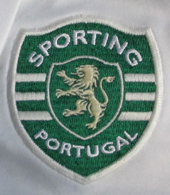 Shirts both with and without sponsor continued to be sold. 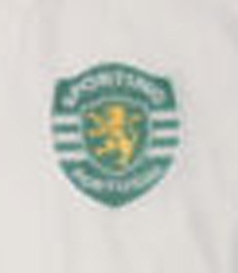 The main sponsor became decidedly tmn. 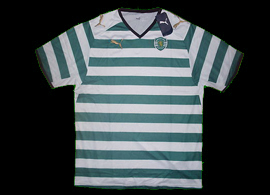 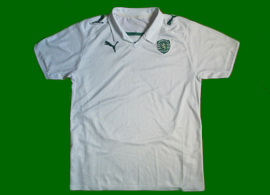 Click here to see all the Sporting Lisbon shirts from 2007 2008. 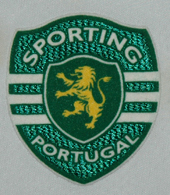 Hooped prototype, plastic Club crest. 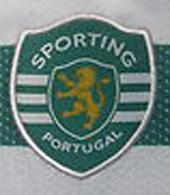 With thanks to O Leão Nº13 @ SPORTING! 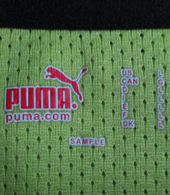 Stromp jersey, Puma sample with the gree and white sides switched. 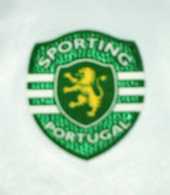 An epic fail! 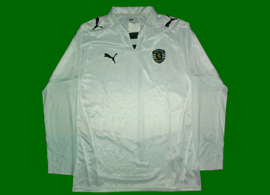 Away soccer jersey with sponsor. 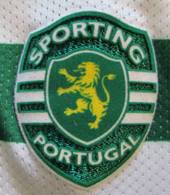 This is either cute or ridiculous, depending on the gloss one puts on it. 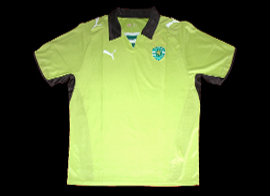 Sporting Lisbon black goal keeper jersey, replica. 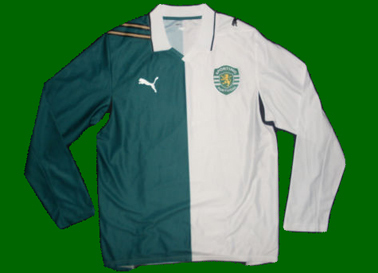 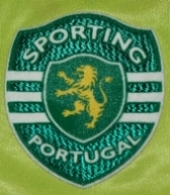 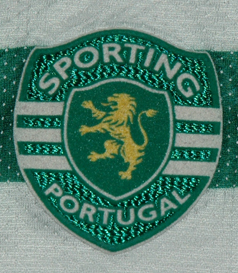 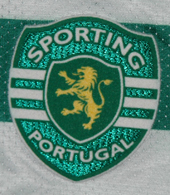 Click here to see all the Sporting Lisbon shirts from 2009 2010.